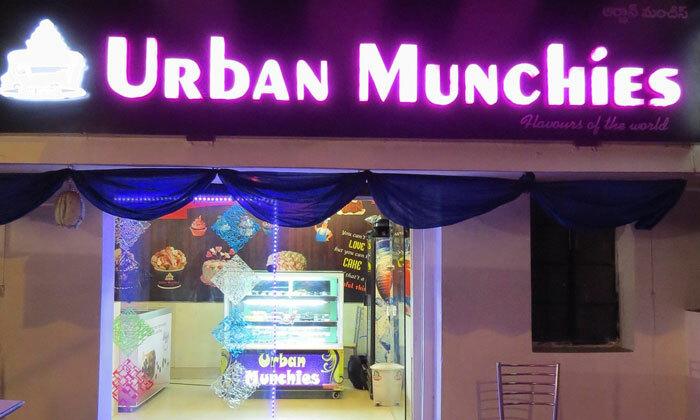 Urban Munchies (Egg Boxx) is a Fast food restaurant and outlet located at Vignanpuri Colony, O.U Road, Adikmet, Hyderabad. The serve a range of burgers, starters, wraps, sandwiches, frankies, fried chicken and combo meals etc. for lunch and dinner options. The restaurant also features a stylish outdoor seating area that uses furniture carved out of wood and give it that raw unfinished look. This is a great place to grab a quick bite and is quit the popular hangout for the youngsters.